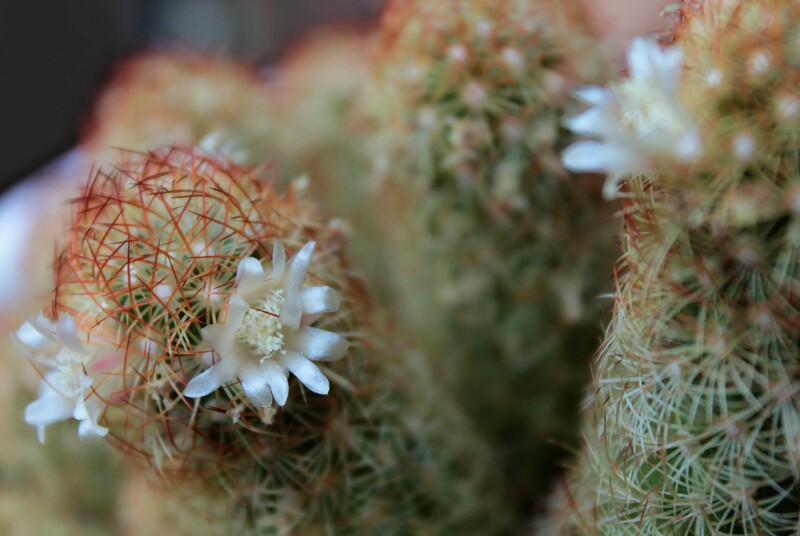 I had planned to write a short story today but then I noticed the cacti around our house were flowering and became a little distracted by photographing them. I thought I’d share a few of the better pictures here. My family have always kept cacti. When I was a child my dad had a greenhouse full of them, though back then there weren’t quite so many in the house – not really surprising with six of us kids running around! We learnt quite early that you don’t touch them. A hand full of cactus spines is never a pleasant experience. Nowadays we all have them in our own homes. Pretty much every window ledge has one. Or two. Or more. I bought my first cactus when I was a student in Wales back in the late 1990s. There was a tabletop sale in the local scout hall with a tray of tiny ones that didn’t look particularly healthy. I bought one for 50p. I still have it now and it flowers nearly every year. A lot of the cacti around our place at the moment actually belong to my youngest brother. He’s currently working abroad so had to leave them somewhere while he was away. I’m hoping he forgets we have them – they’re some of the nicest ones we have. 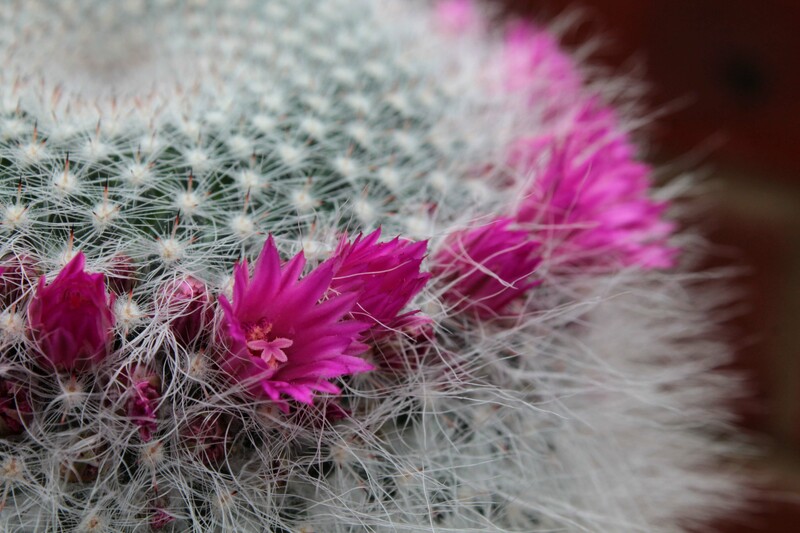 Cacti are not, of course, native to the UK. If you live in more arid areas of the world you may well be used to seeing much more impressive examples than these. Our biggest is only about a meter tall – they can grow much larger than that! But we’re happy with what we have. They are glowing, Louise. No wonder you were distracted! Beautiful shade of yellow. They are beautiful, and if they are hard to kill, that is the perfect plant for me! Neither of my thumbs are “green” , so I need all the help I can get to keep a plant living! They are so beautiful.. the lovely yellow one is a very nice shade. Beautiful! I would have been distracted too! Thank you for posting them for us to see!